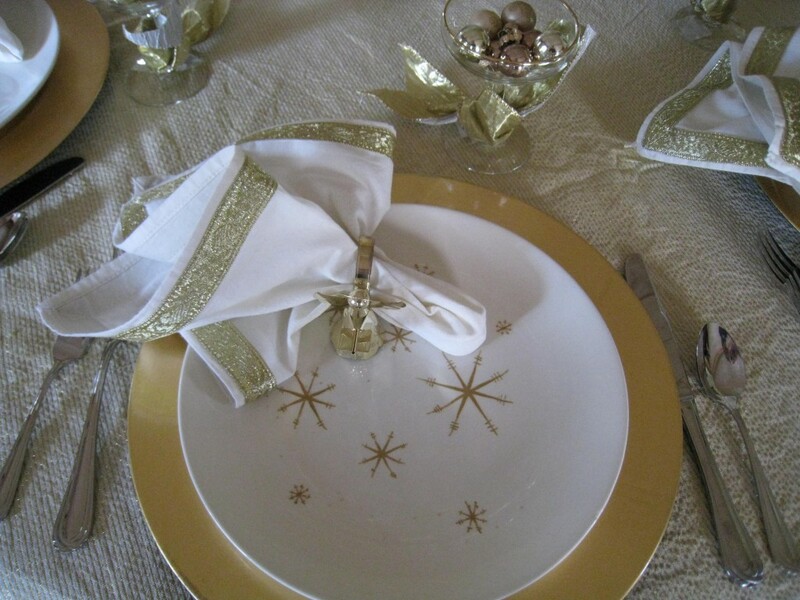 Whether you ring in the New Year with a big bash or dinner for two, be sure to set your table with flair. 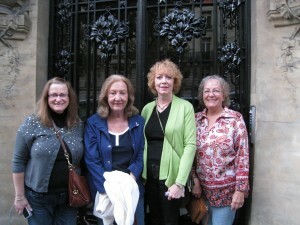 1950’s and 60’s “vintage” style has been very popular in home decorating the past few years. I predict it will continue to gain in popularity. 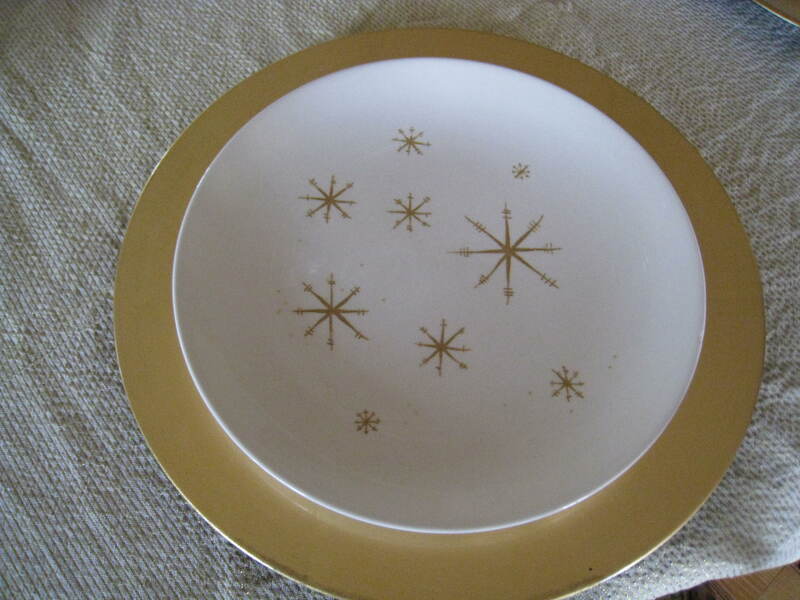 A great example is this set of gold star dinner and salad plates I found at Goodwill from the 60’s. I couldn’t pass them up. When paired with gold chargers, they look updated and very festive. You cannot do a Mad Men theme party without the traditional champagne “coupe” glasses. This set has a gold rim. Although you can’t put them in the dishwasher, they’re so elegant you won’t mind hand washing once in a while. 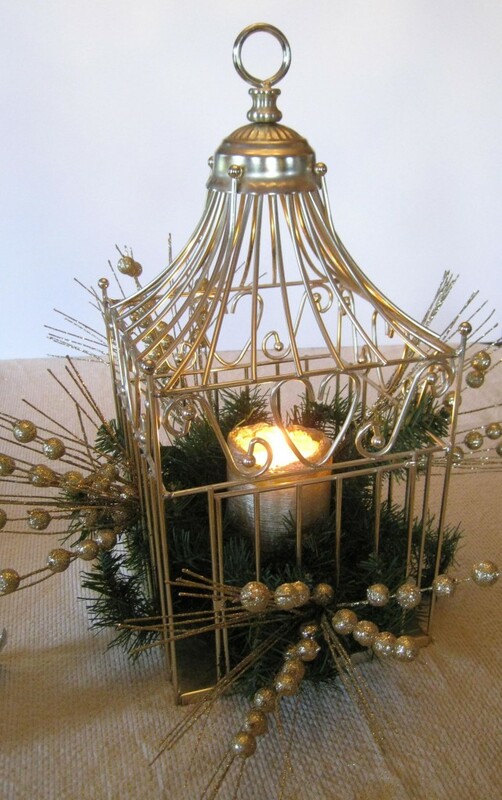 Fill them with tiny ornament baubles and wrapped the stem with ribbon. 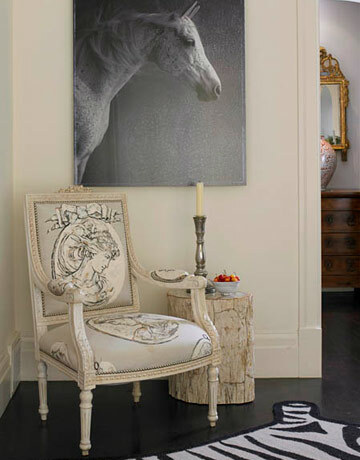 A monochromatic table (everything in one color) is really dramatic. After a week of red and green, shades of gold can be a welcome relief. 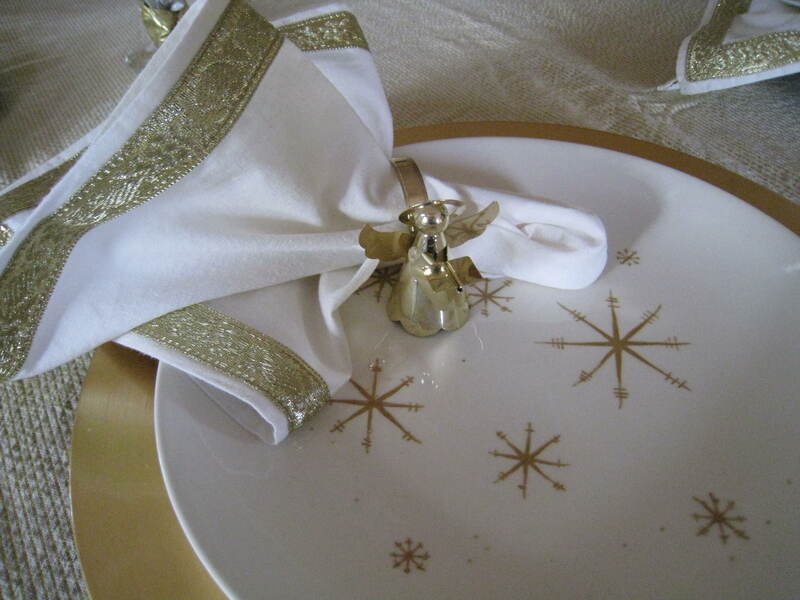 To keep the theme going, I added shiny brass angel napkin rings paired with white napkins bordered with a pretty trim. Casually pull the napkin through and set it on the side of the plate. This New Year’s table needed something more than a centerpiece of candles. 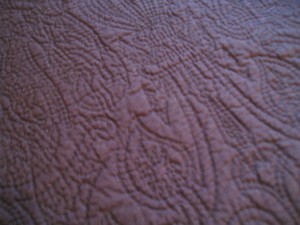 When I shop Goodwill, I often find something that intrigues me, but not sure what I will do with it. That’s what happened with this bird cage. I spotted it months ago and it turned out to be perfect for New Year’s Eve. 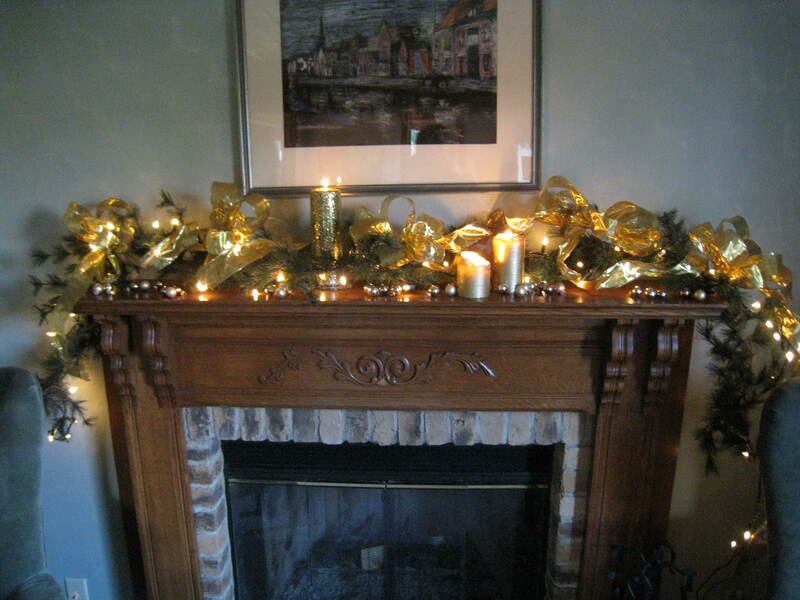 I set a gold candle in the middle and tucked in assorted greens and sprays of glitter. 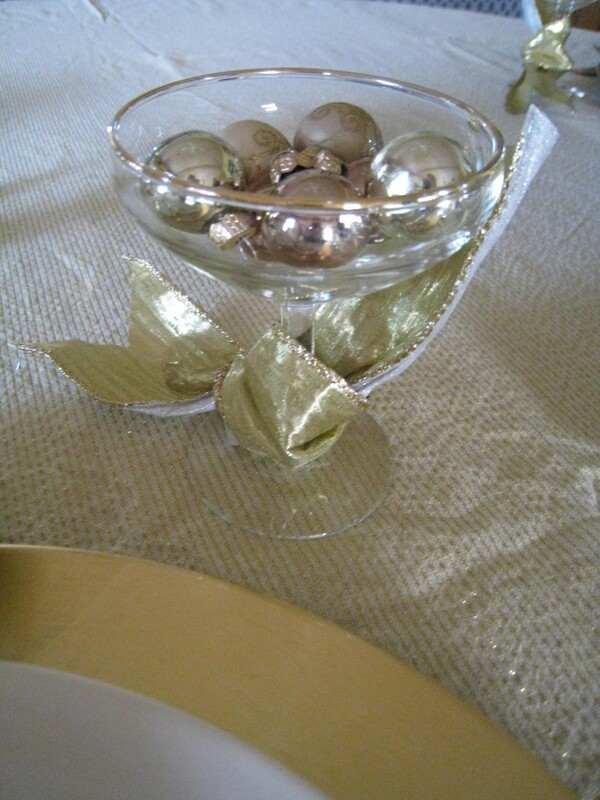 Coordinate the mantle with your table setting. Add lots of gold ribbon and bows, more gold candles and scatter the same mini ornaments throughout. I hope your Christmas is fabulous. Best wishes for a happy, healthy New Year! Do you prefer yours shaken or stirred? Cheers!